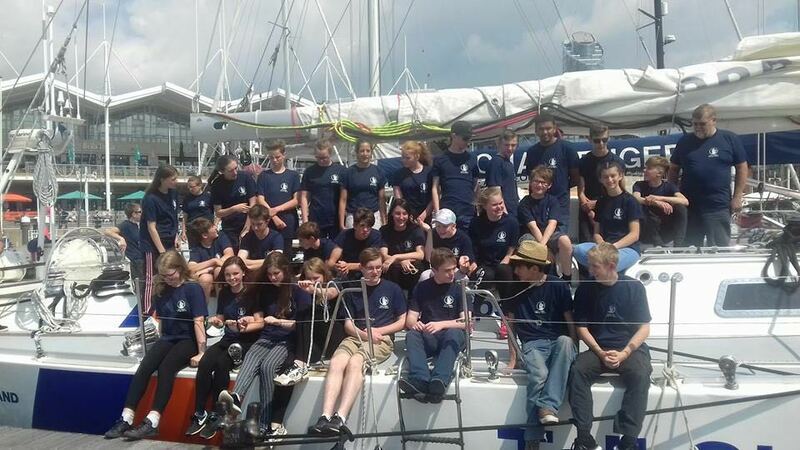 The St Albans sea cadets had planned a sailing trip for 28 cadets and six staff to sail three 72 foot Challenger yachts across to the Channel Islands. This was to take place over six days. Commencing Tuesday 25th July after travelling to Portsmouth by coach, we arrived to meet the three boats at 1200, where we were met by the Tall Ships crew, of whom would be our skippers, first mates and watch leaders for the week. Split into our three separate crews, we were given an in depth tour of the boats, allowing us to familiarise ourselves with them. We fought over bunks and each cadet was assigned life-jackets and wet weather gear (little did we know at this point how much we’d need it!). On each boat we were split into two different groups called watches, within which we would split up chores such as cooking, washing up and deck prep. We were all ready for the incredible opportunity to spend six days with the Tall Ships Youth Trust on their Challenger yachts. Braving windy weather, choppy seas and rainy skies, our three boats sailed from Portsmouth around England’s southern coast. 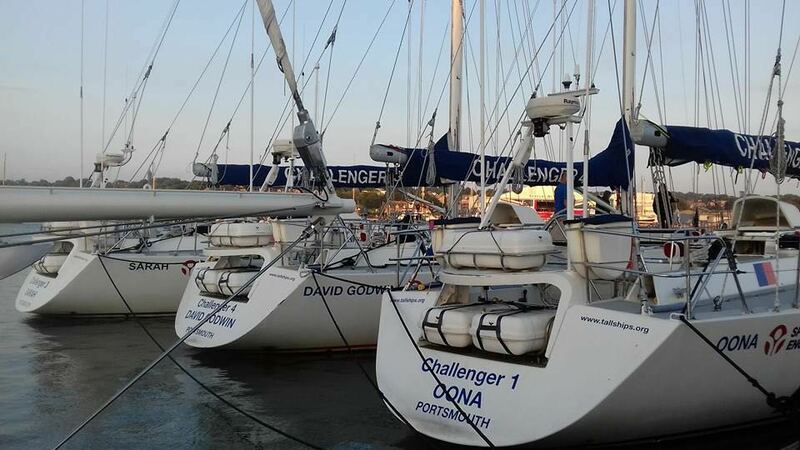 For the trip, we were split among three boats – Challenger 4 for those aiming to achieve the Start Yachting qualification, Challenger 1 for Competent Crew and Challenger 3 for the Watch Leader Certificate. Our sail from Portsmouth to the Isle of Wight in the afternoon allowed us to practice putting up the Yankee and Main Sail, as well as tacking – vital skills we would need for the rest of the week. Once moored up in Cowes, one watch took down the sails for the night, whilst the other watch helped prepare our fish and chip dinner. The captains of the three yachts discussed with our staff the weather forecast which warned of 40 knot winds across the channel. It was decided not to attempt the crossing. 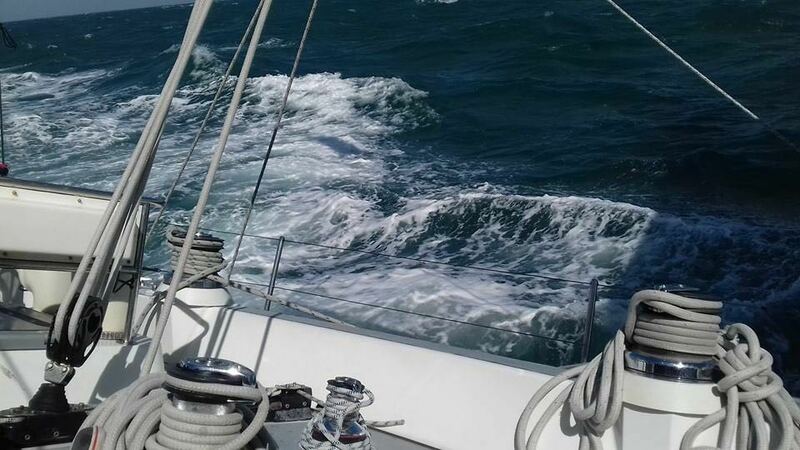 We then prepped the deck and gearing up into our wet weather gear; we began our sail to Poole Harbour. Here we experienced using the main sail, Stay Sail and the Yankee sail, and everyone was on deck helping to tack. We took turns with varying roles such as steering the boat, winching ropes and hoisting sails where necessary, all the while battling choppy seas and winds reaching force 8. Unfortunately for Challenger 3, their main sail ripped, which they had to get repaired the next morning. 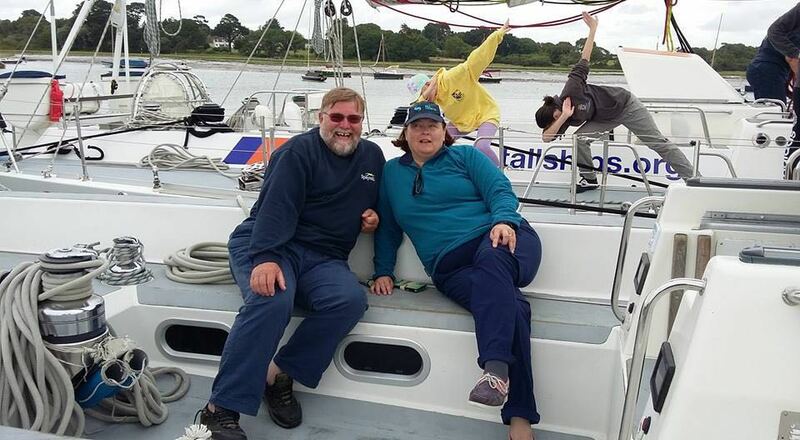 Overall, we were all quite exhausted at the end of the day and were glad to arrive at Poole Harbour, where we were able to enjoy dinner on board, showers across the road and even a Tesco during free time! As Challenger 3’s main sail needed repairing, the morning was spent moored up at Poole Harbour. 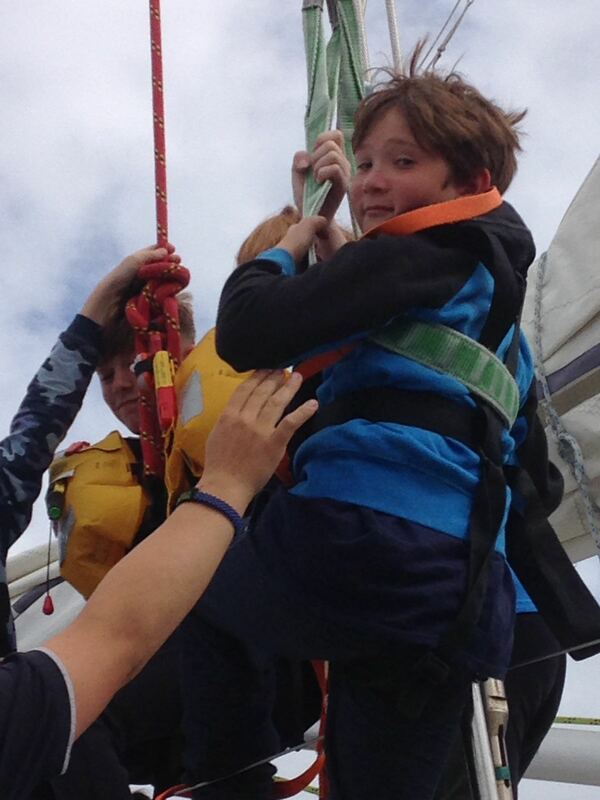 This didn’t make our day any less exciting however, as we were presented with the challenging task of mast climbing. Harnessed up, we each had a turn at climbing the 98 ft. mast, where we relied on our crew mates to keep us safe by maintaining the ropes, and to shout encouraging support from the deck below. Whilst not everyone chose to climb the full distance, or preferred to be hoisted up by other crew members, it was certainly an exhilarating experience for all. Before lunch we were also granted some shore leave. However, this was not an opportunity to slack off; rather each watch was given £2.00 and tasked to find the tackiest souvenir possible from Poole’s seaside shops. Spurred by competition and pride, the souvenirs collected were truly tacky – ranging from a dyed pink shell with “Poole” written on it in sharpie (exorbitantly priced at £1.50) to a small, not-very-gold bottle of rock labelled “fool’s gold”. However, we were left waiting with baited breath to find out the winner as the competition wasn’t to be judged until later in the week. Eventually Challenger 3’s main sail was repaired and returned and we were ready to sail on to Weymouth. Due to the continued wet and windy weather, we sailed with a storm sail in place of the regular Stay Sail, but even the cold couldn’t dampen our sense of fun. Such sense of fun included convincing another cadet we were setting sail to France, a story we were able to maintain for at least two days before he was finally told otherwise. 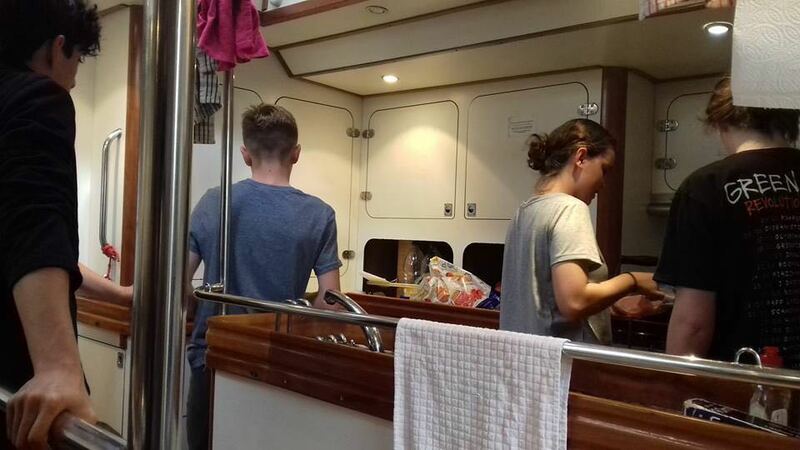 Once in Weymouth (or “France”), we were able to warm up with dinner on board and hot showers ashore, before retiring for an early night ready for a full day of sailing the next day. 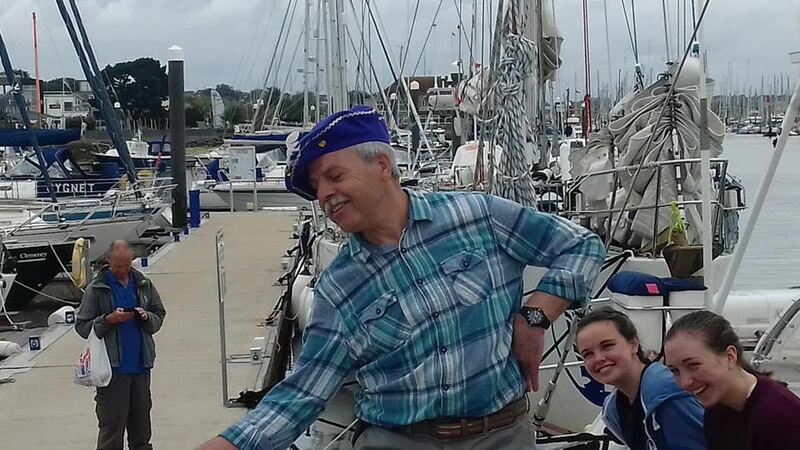 In order to start our sail to Lymington at 08:00, we were all up at 07:00, busy making and eating breakfast, washing up, and preparing sails for the journey ahead. Everyone was on deck as we left, helping to bring in fenders, hoist sails and winch rope. Once sailing, we put up the spinnaker pole for the first time during the trip. 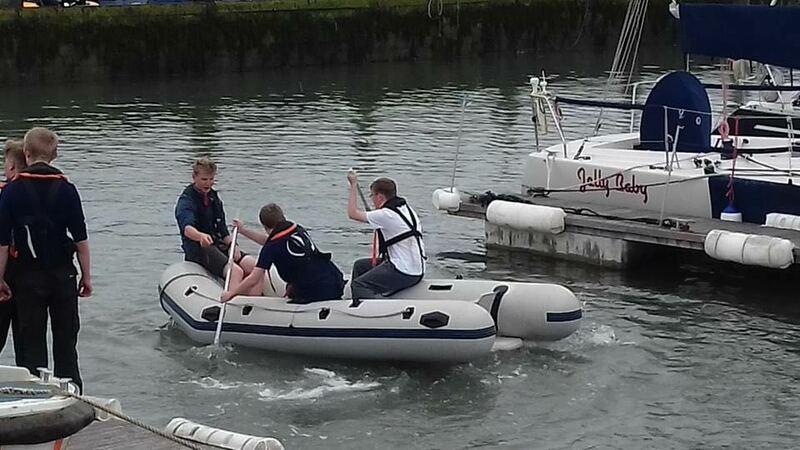 We arrived in Lymington at 1500, many cadets glad to finally moor up as they had felt seasick due to the rough sea state. At Lymington, free time was spent playing cards and exploring the town. Due to the tide, we had to wait until 1100 to leave Lymington to ensure we would not run aground. Whilst moored up, our time was well spent learning about Man over Board drills, where some brave cadets helped to demonstrate the use of ropes, nets and other safety devices in retrieving a man overboard. After this, each watch also presented their tacky souvenirs for judgement. Whilst each gift proved a strong contester, the winner was overwhelmingly a bejewelled purple hat majestically modelled by one of our staff members. 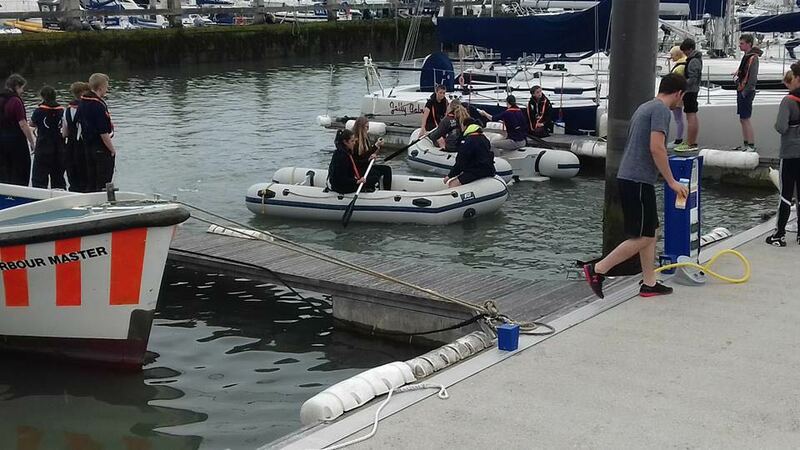 Before we left we were even able to blow up dinghies dragged out from the depths of the sail lockers for a relay race in the harbour amongst the three boats. It was a close, competitive race, narrowly won by the crew of Challenger 3. Once the tide permitted, we started our sail back to Portsmouth, via Cowes to refuel. The weather continued to be cold and wet, but wrapped up in wet weather gear we persevered, still completing tasks such as putting up the spinnaker pole. We even got a turn at climbing up the spinnaker pole whilst under sail. After refuelling at Cowes, we then anchored up for dinner between Cowes and Portsmouth. For our night sail back to Portsmouth, it was down to us, the cadets, to plot our passage using charts and buoys to guide us. Once the sun had set and it was dark, we all wrapped up warm and clipped ourselves on deck, armed with a passage plan and cadets ready to steer, look out for buoys and navigate our way back. Each watch navigated a stage of the journey and we safely arrived at Portsmouth just after midnight. Sadly Sunday marked the end of our voyage with the Tall Ships Youth Trust, and typically we were met with dry skies and bright sun for the first time that week. As much as we all wanted to keep sailing, we had to clean the boat thoroughly, after packing our bags. Chores were divided up and no area of the boat was left untouched. Once even the deck was sparkling clean, we were able to meet with our watch leaders and get important feedback on our week’s performance. This was followed by a presentation of our qualifications: everyone was pleased to gain either the Start Yachting, Competent Crew or Watch Leader certificate. After giving our thanks to the Tall Ships crew, we were eventually met by our coach and made our way home. Overall, the week was an incredible experience, where we not only gained boating specific skills and knowledge, but also team working and communication skills from working with our fellow cadets and staff as crew mates. Most importantly, however, everyone had the time of their lives, and all of us would wholeheartedly recommend the experience and hope to return next year!